Shop online for 28 barracuda plastic models at discounts up to 46%. 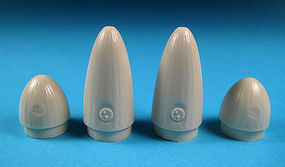 This is the 1/32 Scale P51D Drop Tank Noses & Tailcones for a Tamiya Model (Resin) from Barracuda Studios. This is the 1/32 Scale DH Mosquito VI Ammo Feed Chutes (Resin) Plastic Model Aircraft Accessory by Barracuda Studios. 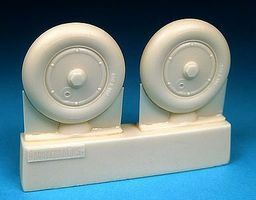 This is the 1/32 Scale Bf109G Wheels Plain Hub, Plain Tire for Hasegawa/Revell/Trumpeter Models (Resin) from Barracuda Studios. 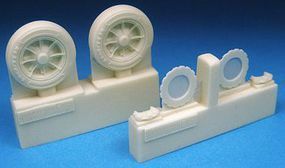 This is the 1/48 Scale F8F2 Bearcat Late Main Wheels (Resin) Plastic Model Aircraft Accessory by Barracuda Studios. 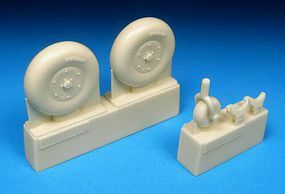 This is the 1/48 Scale DH Hornet /Sea Hornet Main Wheels (Resin) Plastic Model Aircraft Accessory by Barracuda Studios. This is the 1/72 Scale Avro Shackleton MR 2 AEW 2 Wheel Set (Resin) Plastic Model Aircraft Accessory by Barracuda Studios. 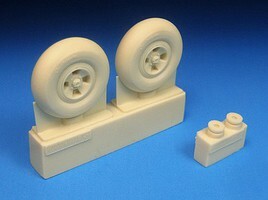 This is the 1/48 Scale F8F1 Bearcat Main Wheels (Resin) Plastic Model Aircraft Accessory by Barracuda Studios. This is the 1/32 Scale Bf109G Wheels Ribbed Hub, Ribbed Tire for Hasegawa/Revell/Trumpeter Models (Resin) from Barracuda Studios. 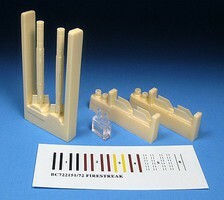 This is the 1/72 Scale Avro Shackleton MR 2 Early Exhausts (Resin) Plastic Model Aircraft Accessory by Barracuda Studios. This is the 1/32 Scale Corsair Early Engine Upgrade Set for a Tamiya Model (Resin) from Barracuda Studios. This is the 1/32 Scale P51D Instrument Panel for a Tamiya Model (Resin & Photo-Etch) from Barracuda Studios. 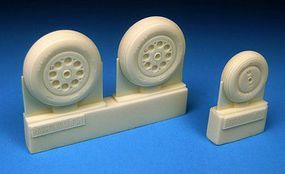 This is the 1/48 Scale Grumman Tracker Early Main Wheels (Resin) Plastic Model Aircraft Accessory by Barracuda Studios.